Roller banners are versatile, easily moved, quickly printed pieces of marketing kit, which can be used time and time again to great effect in your marketing campaigns. That said, how about a few design tips to ensure you get the best-looking banner, helping you stand out that little bit more. It may seem simple, but keep all your most important eye grabbing details at the top, really think about where your banner is going to be sitting, and what bits of it will be covered or hard to see, as this can really effect how you design your roller banner. A roller banner may be a large advert, but this doesn’t mean it needs to be filled with tons of text and info, often a big bold message and your contact info works a lot better. Try to keep your message simple and concise, you will grab way more attention that way. Ask yourself if people are only glancing at the banner, will they understand who you are and what your about? Photos have their place, if they really sum up what you’re all about. Failing that, bold, complimenting colours, are sure to turn heads. Two complimenting colours will draw the eye in to the graphics. Try to stick with big bold text and simple graphics for the best results. This is where a well branded company can shine, with great a great logo, colours and font. We always leave a 200mm blank space at the bottom of the banners when designing, this is where the banners folds into the stand, and isn’t seen. When sending through print ready files, high res .PDFs, and any images at 300dpi and set to CMYK. Don’t forget as mentioned in our graphic design post, we have a team of six full time graphic designers, right here in our Belfast office. They can help you design a banner that is on brand, eye catching and print ready. 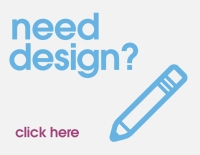 If you need any help, get in touch with us on 028 9002 2474 to discuss all the design and marketing opportunities for your business.